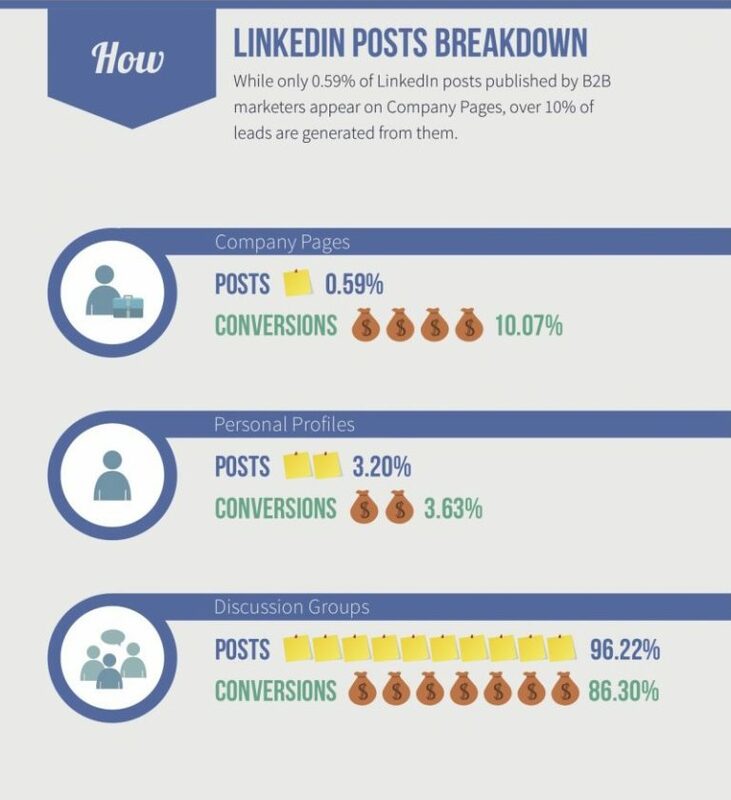 Does your business have a LinkedIn page? Are you using LinkedIn effectively for the business? LinkedIn, the petty professional networking site has launched in 2013 with few sign-ups and less content shared a day and today it is considered as one of the top social media platform used by companies and the people in Top level to lower level. It is considered one of the best platforms for sharing content, marketing, finding the expertise, jobs and growing network. Most of the top brands use this platform for brand recognition after all business is not just about making revenue!! Branding plays a crucial part in any type of business be it as B2B B2C. Though it is launched years back and considered as the top lead generating platform, there are some companies who are still not using Linkedin effectively. If companies use it in an effective way to nurture and generate leads, a company most of the leads and revenue would be generated in Linkedin alone. A company page represents the company story, but remember it’s not only about the company’s products & services. It’s beyond a website and if your company uses Linkedin only for posting jobs and recruiting, its time for you to see a bigger picture! Leads don’t just come your way, It’s you who should make the content aesthetically pleasing and also worthy. What you do to your company page matters as it converts your leads. Every section of the page matters when it comes to lead generation. Firstly, the header section which portrays a cover image and the company’s profile image. An image should create interest in clicking the profile. The company description even plays a part, the first two line displays it all, they play a role in letting people click “See More” or just leave the page. Even the showcase page, make it visible and active. Showcase pages are custom-made B2B lead generation page. It helps in reaching wider audiences and showcasing of the company in a better way. Some of the company’s Linkedin pages automate everything. They have a marketing automation program. When a user searches for the company pages, posts, they look to develop a real relationship instead of messaging to an automated bot message. So flaunt what you are, your buying process, your products, work cycle, and everything because B2B is something concerned with the top level management and definitely need a little personal touch rather than just boasting about the company and texting to the replies. As Linkedin offers many options, one should be able to know how to make use of them. There are options like Advanced search and Save search where you can search for the people relevant to your business. 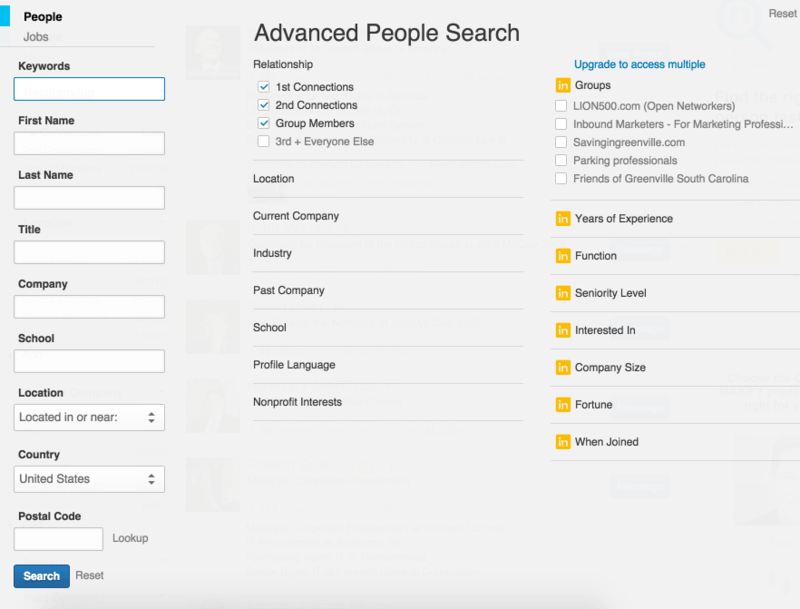 Through this advanced search column, you can search people according to the location, industry, current company, past organization, school, languages and with many other options. This helps in having your own precise bigger and better network for targeting Ad posting. Save Search helps in creating the way and stay active as business is not just one time done and dusted. As it is a continuous process, it is always better to save search which could be used for the future use. This is a great place for showcasing what you really are! You can actually fetch a lot of B2B leads with the compelling content that reaches the right audience and intrigues interest based on your headline. With the compelling content, you can start generating leads in minutes and the conversions depend on how well you handle them! Fetch the groups that match your job, industry and interests. There are high chances of finding the like-minded people and building relationship with them. Once you are set up with everything and gain tremendous knowledge, you can start your own group and flaunt the leadership qualities and expertise. As long as the conversation is not directly in a sales way, the audience stays with you longer and interact. However, you should remember that LinkedIn is a great platform to communicate and engage with the buyers. It bridges the gap and helps to build a network between customers, companies and experts. Right from the top level to lower level management anyone can share the knowledge, support, advice and thrive as a leader. As a result, you gain the authority to nurture leads all the way and convert casual visitors into loyal and valuable customers. So are you doing it in the right way for your business? Wanna know more about Linkedin Marketing? Head over to Digital Nest, we have experts who can help you with the queries.